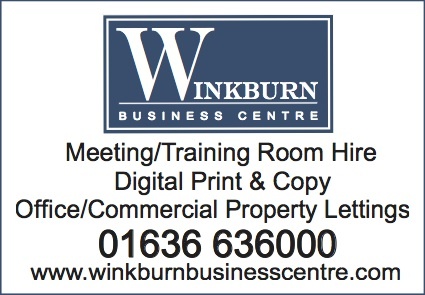 The Winkburn Business Centre is opening its doors for room hire and printing services. Launched by owners Jonathon and Audrey Bray, they said: "We have identified a need for a locally based, active business centre to serve companies in Nottinghamshire and beyond. We are very excited to be opening the Winkburn Business Centre in this idyllic setting on The Winkburn Estate" The Centre is also home to Jonathon's business Learn2print, which needed new premises due to expansion. Situated in the heart of the East Midlands, the Winkburn Business Centre is the ideal countryside retreat for business meetings, training events and executive away days. Located just off the A617 between Mansfield and Newark, with easy access to both the A1 and M1. Winkburn Business Centre is set in a beautiful barn conversion, with far reaching views across open Nottinghamshire countryside. The centre boasts two contemporary, glass divided, meeting rooms providing space for up to 12 delegates each which are available for hire from £10 an hour. The centre will be hosting regular training events in First Aid and Health & Safety, which will be available for local businesses and residents. Facilities available include Wifi, onsite car parking, digital print, scanning, copying and refreshments with catering provided on request. For bookings, or to arrange a visit, please call 01636 636000.